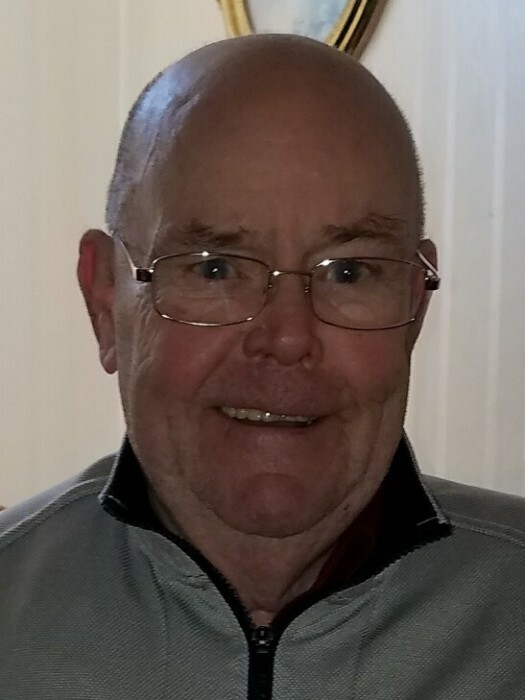 Daniel J. McDonald, Sr., of Cranston, passed away Wednesday, May 2, 2018. He was 76. He was married to the late Marjorie D. McDonald; they were married 41 years. Born in Providence, he was the son of the late George and Marguerite (Murray) McDonald. He's predeceased by brothers George and William McDonald, and sister Janice Amaral. Dan's life work was spent making his family strong. He was a loving husband, father, papa, brother, uncle, cousin, brother-in-law, and friend and he'll be forever missed. Dan was selfless with his time to help others. He spent his life volunteering countless hours to a variety of organizations and institutions. He was a past Grand Knight for the Knights of Columbus Kennedy Council 5701. He was also a member of the Hickey Council 3623 and a member of AOH Warwick Division. As a professional, he worked as a Master Craftsman and Toolmaker at Rau Findings and Kenyon Tool. Recently, he was a volunteer at McShawn's Back Porch Veterans organization and the Rhode Island Recycle Center. He was a former member of the Irish Ceilidhe Club of Rhode Island. He was a communicant of St. Matthew's Church and athletic director and advisor to the CYO basketball, softball and volleyball programs for over 20 years. He was a past president of the PTO at Saint Xavier Academy. Mr. McDonald was an avid card player and had a unique way of shuffling and holding the cards. In true fashion, he won the last hand he played. Mr. McDonald had graduated from Cranston High School in 1960. He also attended URI trade school. He is survived by his daughter, Donna Jean Salisbury and her husband David; son Daniel Joseph McDonald, Jr. and his fiance' Katrina; son Joseph Rodgers McDonald and his wife Michelle. He was the Papa of Katie and Stefanie Salisbury, Kayla, Daniel III, Sean and Maggie McDonald. He is also survived by numerous cousins, nieces, and nephews. He made everyone feel like part of the family and enjoyed making people laugh. Our Dad, Papa, uncle, cousin, brother-in-law, father-in-law, and friend will be forever in our hearts. As he would say, "Have a good one!" Funeral Monday at 9 am from the Jones-Walton-Sheridan Funeral Home, 1895 Broad St., at Park Ave., Cranston, followed by a Mass of Christian Burial celebrated at 10 am in St. Matthew Church, Elmwood Ave., Cranston. Burial will be in St. Ann Cemetery, Cranston. Calling hours Sunday 4-8 pm. In Lieu of flowers, contributions may be made in his memory to RI Fire Chief's Honor Flight Hub, P.O. Box 28132, Providence, RI 02908.